For one thing, there's the urge to go buy and stick your face in a chocolate peanut butter cupcake every time you go to mail a letter. Then, there's the temptation to skip dinner preparation and just buy something pre-prepared that inevitably tastes better anyway. Finally, there's the impulse to buy and devour a hunk of Triple Cream Goat Brie that will not only eat up all the calories you've allotted for the month, but also all the rent money. For a long time, I'd avoid these pitfalls by allowing myself the occasional quarter pint of potato, avocado, wilted arugula and lemon salad (which I still managed to feel a little guilty about). But lately my favorite side has not been available. Maybe it's a seasonal thing? Maybe they're just trying to torture me. In the absence of potato salad though, I happened upon the Joan's on Third broccolini, which is not only sublimely healthy, but is also relatively inexpensive as Joan's dishes go. I think it's probably just prepared in olive oil, garlic, salt and a little lemon or something, but whatever it is, it's always incredibly flavorful and just the right amount of crunchy. 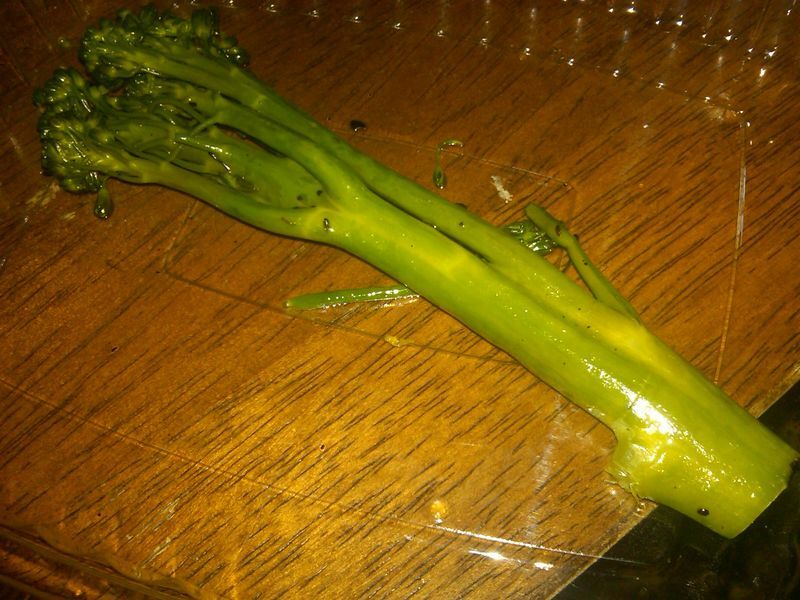 So, this is my mini-salute to broccolini. Next up, a ticker tape parade for that triple cream cheese.